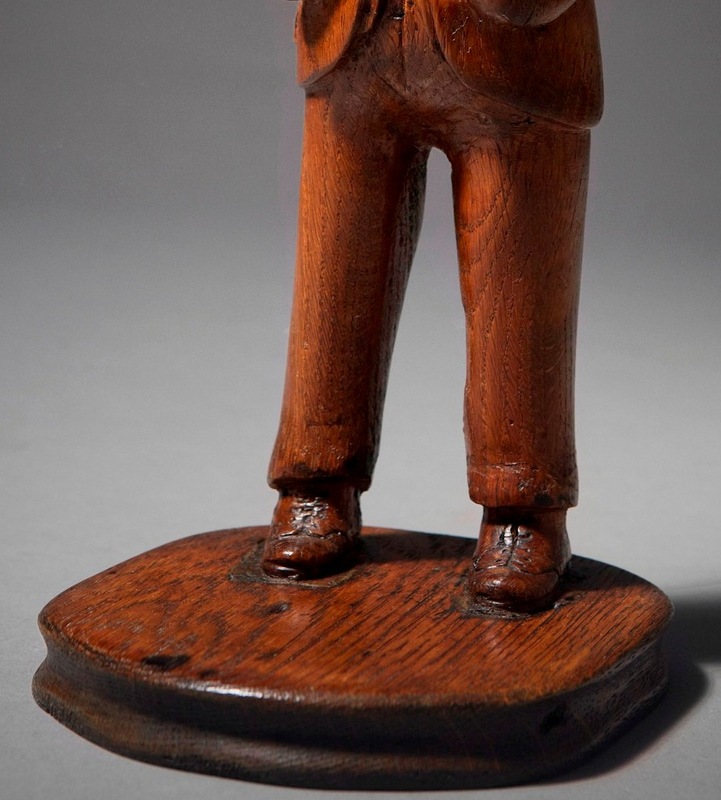 A folk art figure of David Lloyd George. 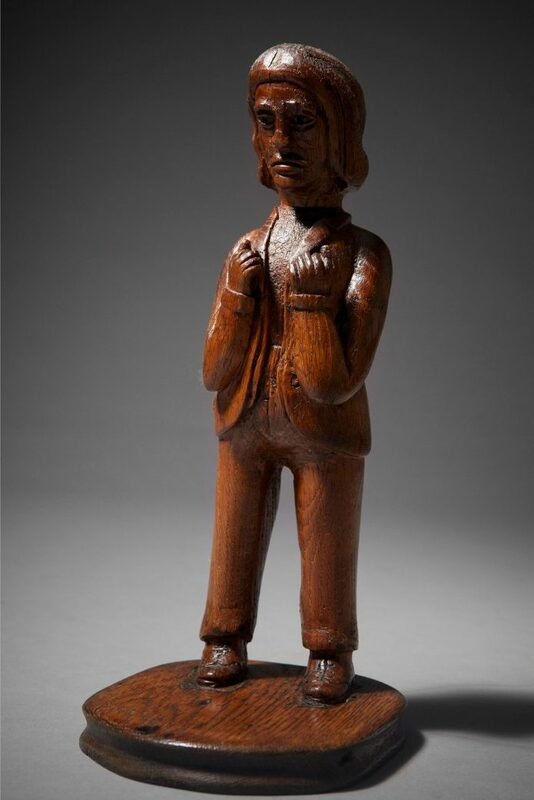 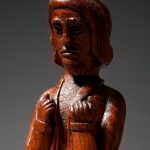 The figure is hand carved from a single piece of oak and inset to the plinth. 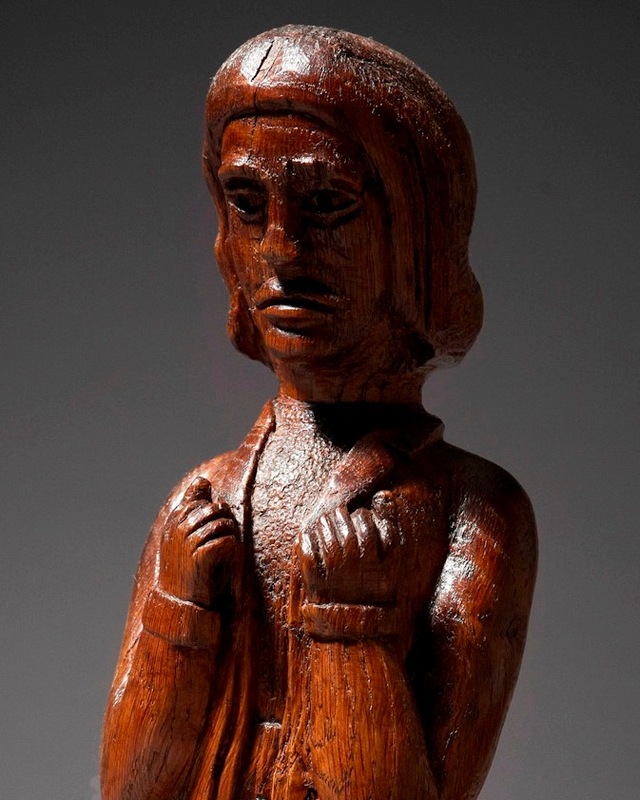 I first bought this figure in North Wales in 2010 and it formed part of our Winter 2010 exhibition. 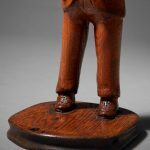 The figure is not inscribed by a maker nor does it say that it is David Lloyd George, but the previous owner had always known it to be DLG.